Hi @mathtapmusic, did you check the speaker connector pins? Looking at the pics it seems that the pin near the SD connector is not soldered correctly to the PCB. I think it’s ok, the bottom is soldered well and the top just has a little bit of the gold showing and I think the flash made a kind of weird glare on it. Either way I suppose I would still have the on/off problem. I checked and I think the problem is that it’s not finding the files on th SD. The ledRampDown function wants a duration, and if it’s zero (because cannot find the file) the LEDs will stay on. Ok, I finally got my new micro SD card today because the one I was using before was from my raspberry pi and I didn’t want to delete anything. I tried reformatting it, but there was no option or anything for Fat 32, so I just did quick format and it still didn’t work What now? Ok, let’s start with the simplest test. Copy the idle1.wav file to the SD and make sure that you can open it and hear it with a Windows PC. Open the serial monitor at 9600 and if you read “Problem reading” then there is something with that SD. Let me know also the brand and model of the SD. Thank you. So, to summarize: you have tested with two SD cards. The first one came with the Raspberry Pi. The second one is a brand new SD that has never been used in a Raspberry Pi. Is that correct? May be the first one cannot be used because it is partitioned in way the PropBoard file system doesn’t like. You can check this with the Windows Disk Manager (execute compmgmt.msc and then go to Disk Manager). If you see several partitions, then it could be a problem. Please, do the same with the brand new SD. 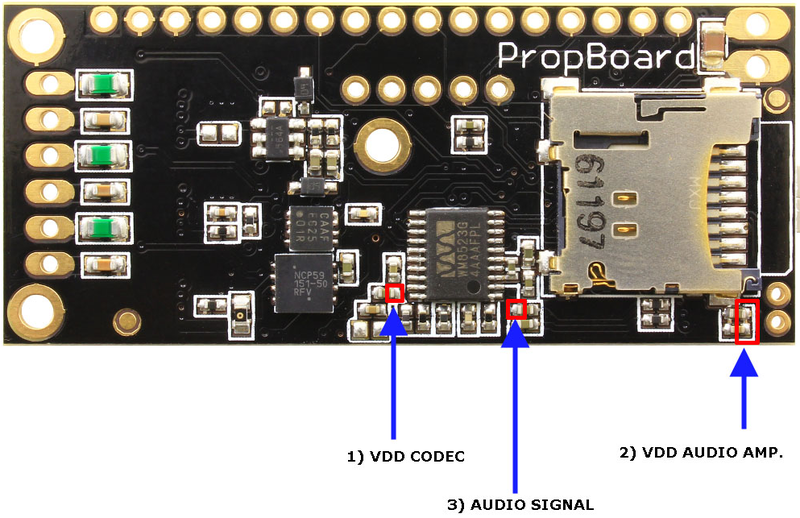 In the meantime I can check if there is an extra beta PropBoard we can send to you. Yes, that’s correct. The first one came with the Pi and the second one is new and has never been used. Thank you! OK, so far, the real test was done once using a well-partitioned, FAT32 SD. I would say if you please can test again using another new SD of a different brand, just in case. We tested several here, and we’ve never found any problem. I will try to get a SDSDQM-008G-B35A myself (found the datasheet already). In the case it still doesn’t work, we would want to have that board back (replaced with another one) for analysis. I will contact you by email to arrange the shipping. Ok, thank you. I don’t think I have any more micro SD cards here, and even if I do they are likely the same brand, but I can get one from Amazon or something. 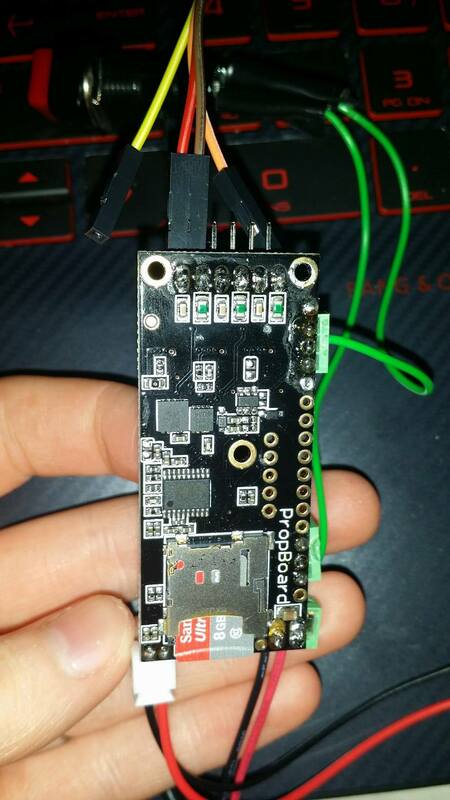 If I have to return the board, would you like me to leave all the soldering connections on it with the LED and speaker I currently have on it, or do you just want what’s soldered on there currently? Keep your LEDs, button and speaker. If you have trouble removing those green screw terminals, leave them and we will remove them here. I have also a trouble with the sound part of the board. What’s strange is that works until now. I checked my SD card and all is ok, I also changed the speaker in case but i heard nothing. do you have a test procedure to check if a component of the sound part is broken ? Sorry @Dadoo for the late reply. If you measure 3.3V at point 1, the codec is powered. If you measure 3.3V or 5V at point 2, the power amplifier is powered. If point 1 and point 2 have power, please measure using a oscilloscope on the point 3 to see if there is any audio signal. 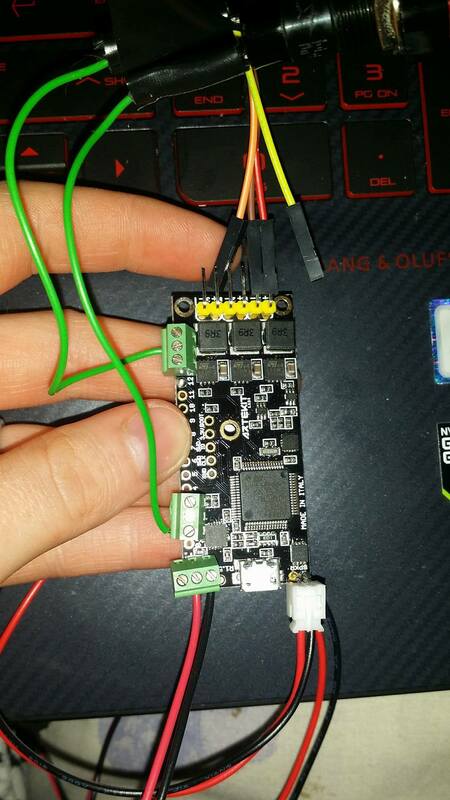 @Dadoo, are you powering the board with a single battery (3.7V to 5V range)? Hi @dadoo, perhaps the coil is open due to a shortcircuit. Please remove the component from the picture and replace it with drop of solder (join the pads). but i did not have an oscilloscope. Finaly what’s news is now the board is not recognized by the arduino IDE. and now nothing works. the board is powered cause i got value just above. Do you think the board is dead ?